- My happy home . - My bowl & cozy bed, sofa pillows and all my toys. 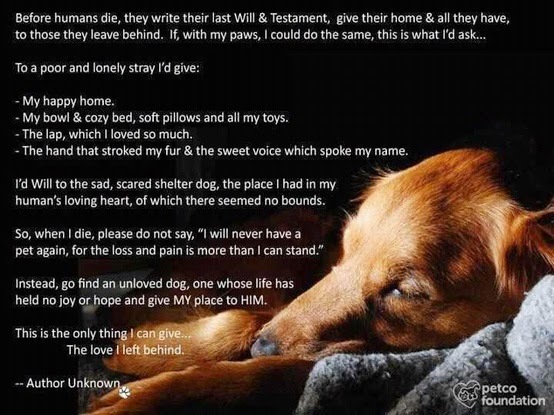 I’d will to the sad, scared shelter dog, the place I had in my human’s loving heart, of which there seemed no bounds. Instead go find an unloved dog, one whose life has held no joy or hope and give MY place to HIM. This is the only thing I can give, The love I left behind .